With graduation season upon us, and another school year drawing to a close, this is a great time to help students think about where they’ve been, where they are, and where they’re headed. 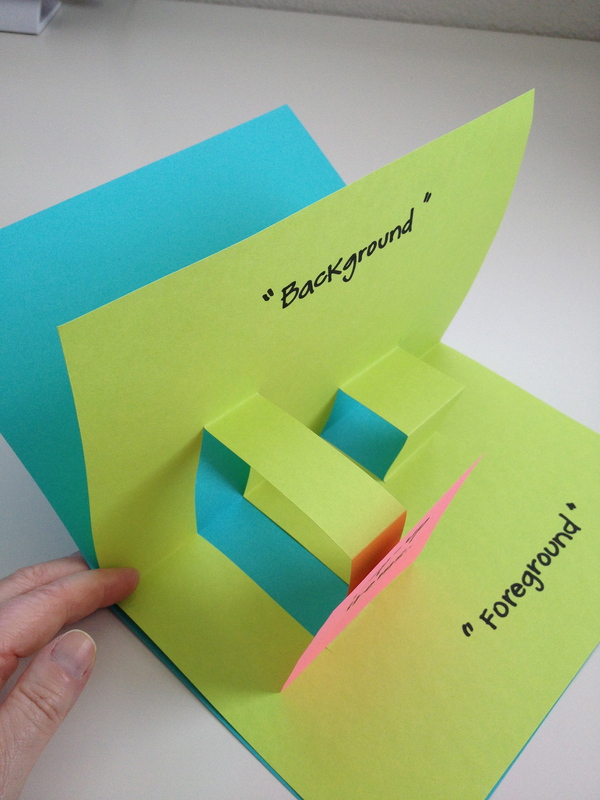 The “My Life” pop-up book is a small, three-section book that invites students to think about significant events/people/places from their past and present, and to imagine their future. Breaking the book down into these three main time-frames will enable your students to more easily focus on significant details without being overwhelmed. Here’s what you’ll need: Sheets of 9×12 inch construction paper in a variety of colors, construction paper scraps, scissors, tape, staples, glue, and markers. You might also want to include other materials such as brads, cotton, yarn, buttons, ribbon, string, fabric scraps, hole punches, and construction paper sheets larger than 9×12. 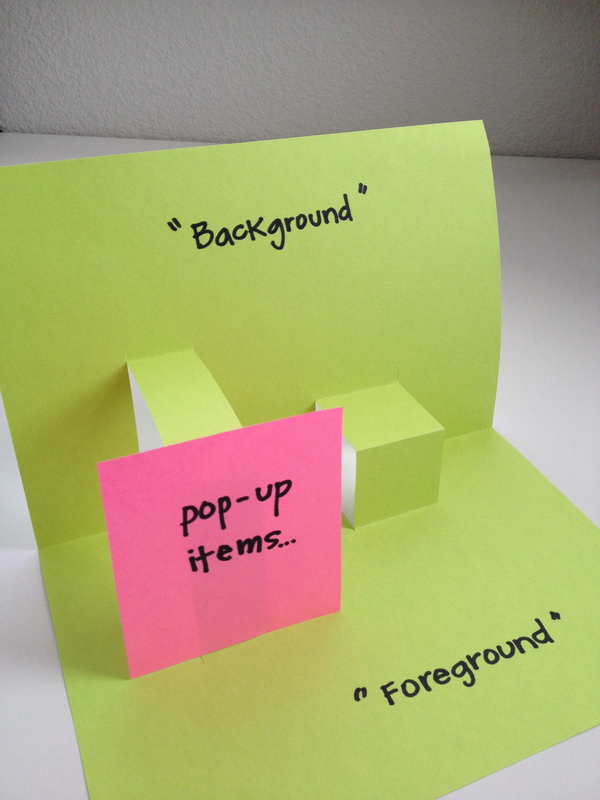 Each child will ultimately need 6 sheets of construction paper — 1 sheet for each of the three pop-up sections, and 1 “backing sheet” for each section. Because this book will consist of 3 separate sections, students may begin on any section they choose — past, present, or future. After all sections are complete, the book may be assembled in the correct order. Elements that will pop-up when the book is opened will be attached to the front of these “tabs”. Encourage your students to get fully involved in the surface decoration of each section of their book using construction paper scraps and any other materials that you have provided. For example, if their own birth is the significant event from their past that they want to represent, perhaps they will have a small crib as one pop-up element, with another being a large cut-out of the numbers for the year they were born. The “background” of the scene could be decorated like a wall in the baby’s room, and the “foreground” area decorated like the “floor” of that room. In other words, encourage the creation of entire settings or scenes to fully represent their significant event/place/person, etc. Depending on the age and ability levels of your students, a bit of writing for each section can be included to add depth and description to what they’ve created visually. 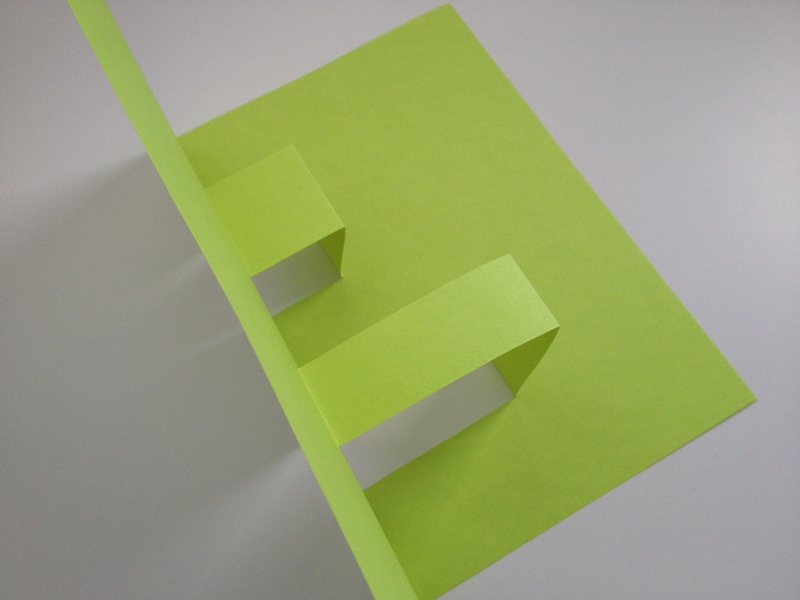 Once all three sections — and their backing sheets — are finished, the sections can be connected together using staples, double-sided tape, or glue. (Hint: you’ll need to be very patient if you use glue!) If you desire, you can have the students decorate the “cover” sheet of their book. 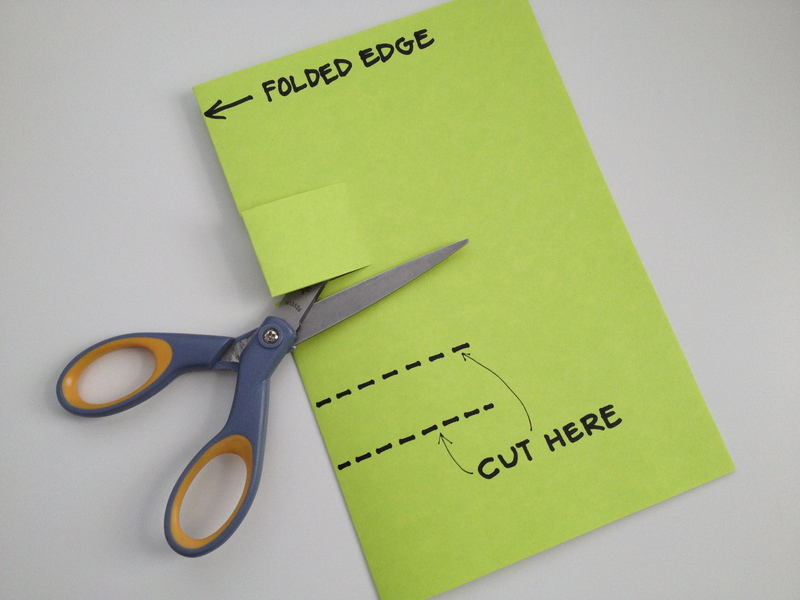 For a more finished look, you can wrap a larger sheet of construction paper around the outside of all three sections of the book, and after attaching it, trim off any excess. (A 9×12 sheet won’t be large enough once you’ve connected all three sections of the book together.) This then can be decorated as the cover. Not only will you learn a great deal about your students during this process, but they will love sharing the highlights of their lives with you and with their friends. Interested in more fun art ideas like this one? Check out the affordable, self-paced, and convenient professional development art classes I teach through Fresno Pacific University here! It’s never too early to encourage students to begin thinking about careers that interest them. This simple, yet powerful art experience called “Career Cubes” is a fun way to do just that, while incorporating critical thinking, writing and even a little research if you desire. 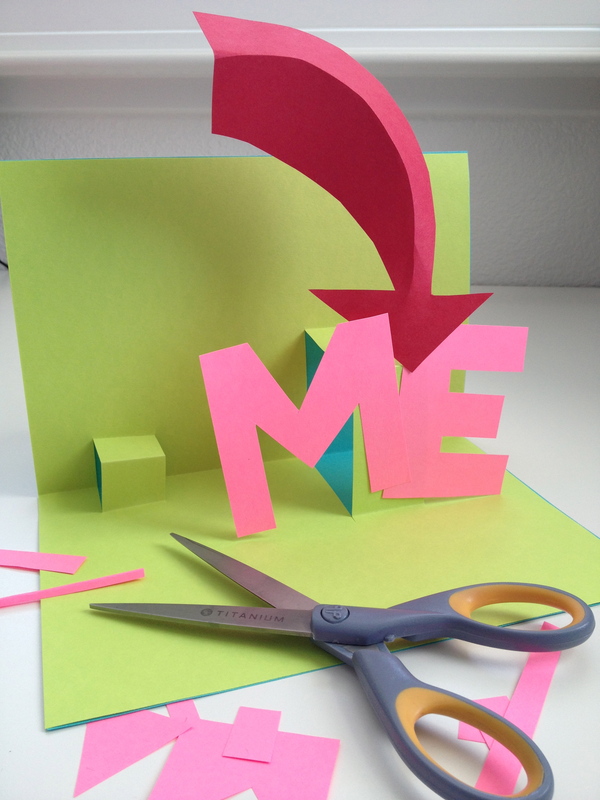 You will need the following materials: Light-weight cardboard — used file folders work great here, masking tape, construction paper scraps, scissors, glue, color pencils, crayons, and markers. 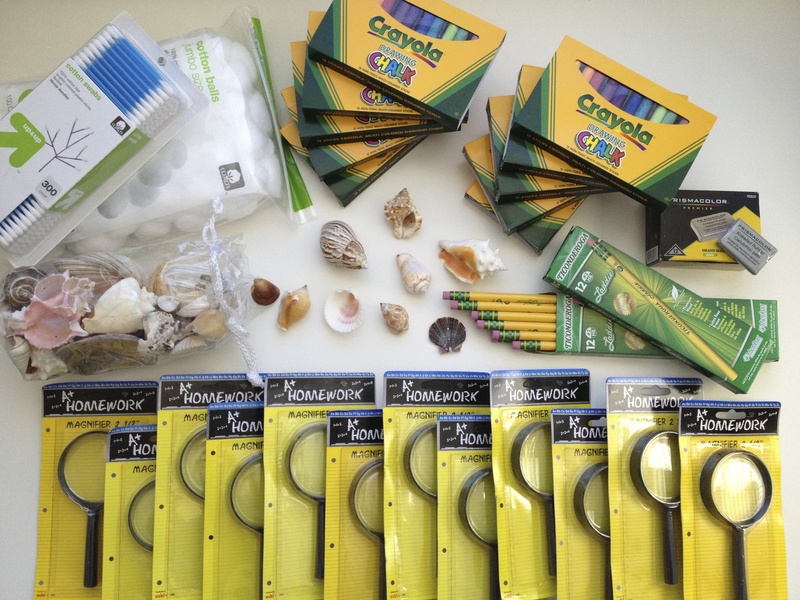 Additionally, things like yarn or string, staplers, brads, and discard magazines could also be included. The reason 6 individual squares are used, rather than a “cube pattern”, is that the separate squares provide a more challenging set of 6 individual compositions, and a more interesting approach to cube construction. I would suggest deciding ahead of time what your expectations are for each side of the career cubes. (Your specific requirements for your students will vary greatly based upon the age and ability levels of your students, but even for the very young, I would be sure you have some sort of guidelines established for them.) For example, if your students are older, you might require the following: One side devoted to “naming” the career, three sides will be visual representations of that career, one side will be a written statement about why the student has chosen that career — or is interested in that career — and one side devoted to some basic research on the career such as schooling required, etc., for a total of six sides. Before handing out the first square, encourage discussion and brainstorming about what types of careers your students are interested in. Talk with them about how different careers could be visually represented… for example, what sort of symbols might one make if they wanted to become an architect? A nurse? Make a list if you like of the many possibilities your students come up with. After you feel your students have been sufficiently motivated, concentrating on only one square at a time, have your students begin the process of surface decoration. 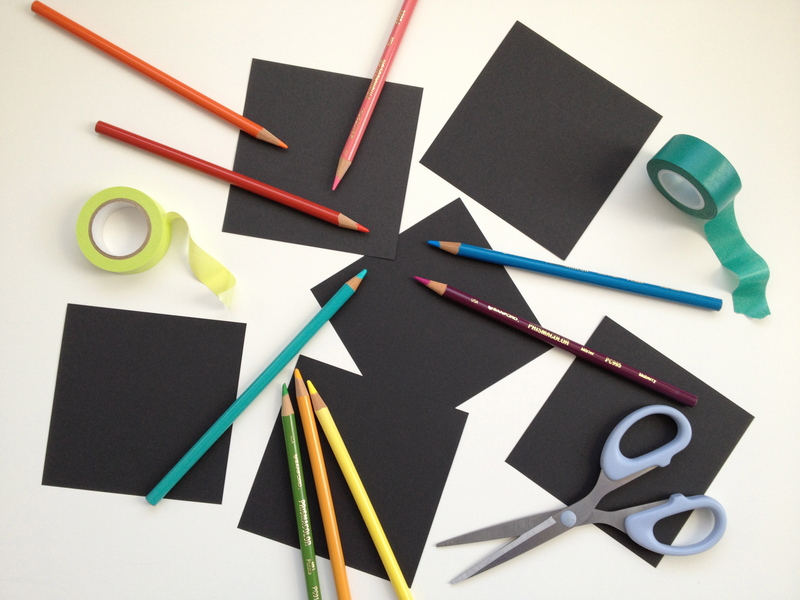 Depending on your available art supplies, the squares could be decorated with a variety of materials, or you might limit them to just using cut and/or torn construction paper. The choice is yours. If you decide to require a written component, you might like students to write in their own best handwriting, or perhaps you’d like them to write and compose something on the computer that they can attach to one square. Depending on your schedule, you might have students work on this in one, uninterrupted block of time, or perhaps you might break the process into smaller, shorter work sessions. (Squares, along with bits and pieces, can be easily stored in ziplock bags while in progress.) Lots of options here to make this work for your students, your curricular objectives, and your time frame. 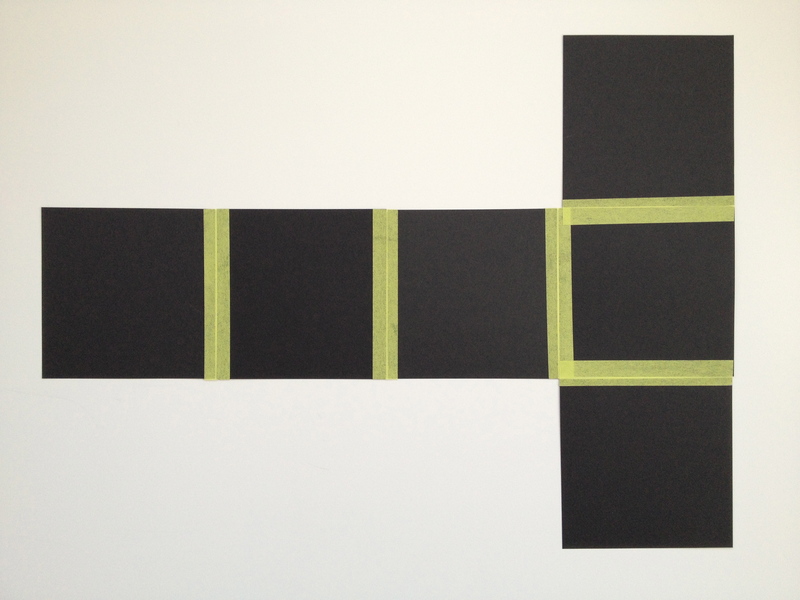 Now bring all sides together to form a cube and tape securely. 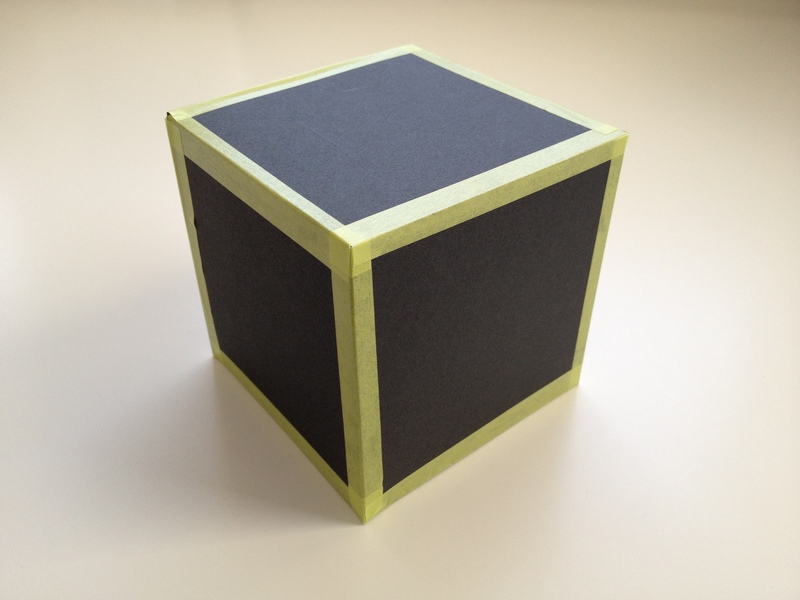 Masking tape used neatly on the “outside” of the cube is fine and can become part of the surface decoration. Once complete, each student will have created a unique, concrete representation of his or her desired career choice. Career cubes are fun displayed individually on student desks, stacked up as a group, or can even be hung from the ceiling if you are clever. Your students will love not only making them, but looking at them as well!